Above Photo: Mother nature’s painted hills outside of Cache Creek, British Columbia. 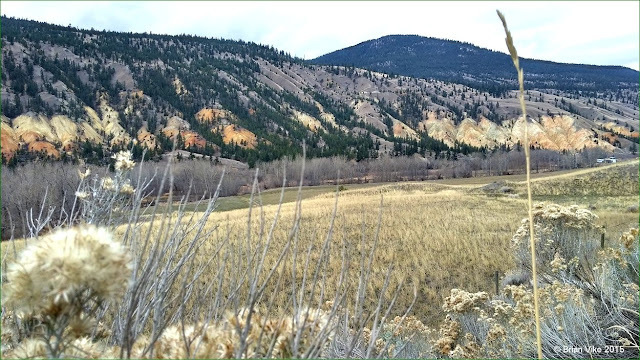 If you travel north along Highway 97 outside of Cache Creek, you will come to a spectacular site where the mountain side seems as if someone used a paint brush to colour it. It is iron and other minerals that make up the color of the soil which gives us a wonder display from Mother Nature.